Ⅰ.China Statistical Yearbook 2018 is an annual statistical publication,which reflects comprehensively the economic and socialdevelopment of China.It covers data for 2017 and key statistical data in recent years and some historically important years at thenational level and the local levels of province,autonomous region and municipality directly under the Central Government. Ⅱ.The Yearbook contains twenty-eight chapters:1.General Survey;2.Population;3.National Accounts;4.Employment andWages;5.Prices;6.People’s Living Conditions;7.Government Finance;8.Resources and Environment;9.Energy;10.Investmentin Fixed Assets;11.Foreign Trade and Economic Cooperation;12.Agriculture;13.Industry;14.Construction;15.Wholesale andRetail Trades;16.Transport,Postal and Telecommunication Services,and Software Industry;17.Hotels,Catering Services andTourism;18.Financial Intermediation;19.Real Estate;20.Science and Technology;21.Education;22.Public Health and SocialServices;23.Culture and Sports;24.Public Management,Social Security and Social Organizations;25.Urban,Rural and RegionalDevelopment;26.Main Social and Economic Indicators of Hong Kong Special Administrative Region(SAR);27.Main Social andEconomic Indicators of Macao Special Administrative Region(SAR);28.Main Social and Economic Indicators of Taiwan Province.One chapter listed as Appendix is Main Social and Economic Indicators of Other Countries/Regions. To facilitate readers,the Brief Introduction at the beginning of each chapter provides a summary of the main contents of thechapter,data sources,statistical scope,statistical methods and historical changes.At the end of each chapter,Explanatory Notes onMain Statistical Indicators are included. Ⅲ.The national data in this book do not include those of the Hong Kong Special Administrative Region,the Macao SpecialAdministrative Region and Taiwan Province,except for the divisions of administrative areas,the area of the national territory andforest resources and otherwise specified.In accordance with the principles set down in the Basic Law of Hong Kong SpecialAdministrative Region,and the Basic Law of Macao Special Administrative Region,statistically Hong Kong,Macao and themainland of China are three mutually independent regions,each following its own and different statistical systems and legalprovisions in conducting statistical operations independently.Statistics on the Hong Kong Special Administrative Region and theMacao Special Administrative Region as included in this yearbook are provided by the Census and Statistics Department of theGovernment of Hong Kong Special Administrative Region and the Statistics and Census Service of the Government of MacaoSpecial Administrative Region respectively;and are edited by the National Bureau of Statistics. Ⅳ.Eastern region,central region,western region and northeastern region in the Yearbook are divided as following: Eastern 10 provinces(municipalities) include:Beijing,Tianjin,Hebei,Shanghai,Jiangsu,Zhejiang,Fujian,Shandong,Guangdong and Hainan; Central 6 provinces include:Shanxi,Anhui,Jiangxi,Henan,Hubei and Hunan; Western 12 provinces(autonomous regions and municipalities) include:Inner Mongolia,Guangxi,Chongqing,Sichuan,Guizhou,Yunnan,Tibet,Shaanxi,Gansu,Qinghai,Ningxia and Xinjiang; Northeastern 3 provinces include:Liaoning,Jilin and Heilongjiang. Ⅴ.The units of measurement used in the Yearbook are internationally standard measurement units,and newly published andimplemented Product Categories are uniformly used. Ⅵ.Please refer to the newly published version of the Yearbook for updated historical data.Statistical discrepancies on totals andrelative figures due to rounding are not adjusted in the Yearbook. Ⅶ.Notations used in the Yearbook:(blank space) indicates that the data are unknown,or are not available;”#” indicates amajor breakdown of the total;and “*”or “①”indicates footnotes at the end of the table.About the notations in the chapters of HongKong SAR and Macao SAR,please refer to the brief introduction in relevant chapters. Ⅷ.In comparison with China Statistical Yearbook 2017,following revisions have been made in this new version in terms ofthe statistical contents and in editing:Of the chapter “National Accounts”,indicators of exports of goods and services,imports ofgoods and services,2015 Input-Output table are added.Of the chapter “Employment and Wages”,figures from State Administrationfor Market Regulation are listed separately,relevant table frames are adjusted.Of the chapter “Resources and Environment”,indicators of ensured reserves of minerals are deleted.Of the chapter “Investment in Fixed Assets”,tables of Floor Space ofBuildings under Construction and Completed,Construction Size of Main Production Capacity are deleted.Of the chapter “Foreigntrade and Economic Cooperation”,indicators of export and import of services in RMB are added.Of the chapter “Agriculture”,according to the result of the Third National Agricultural Census,relevant historical data are revised.Of the chapter “FinancialIntermediation”,table of share issued is adjusted.Of the chapter “Education”,table of Number of Students of Non-formal Educationis added.Of the chapter “Public Health and Social Services”,table of Statistics on Community Service Facilities and Social Workersis deleted.Of the chapter “Culture and Sports”,table of Technology Statistics on Radio and TV is deleted.Of the chapter “Urban,Rural and Regional Development”,table of Level of Municipal Public Facilities of Built-up Area of Towns is deleted. China Statistical Yearbook 2017 is an annual statistical publication, which reflects comprehensively the economic and social development of China. It covers data for 2016 and key statistical data in recent years and some historically important years at the national level and the local levels of province, autonomous region and municipality directly under the Central Government. The Yearbook contains twenty-seven chapters : l. General Survey; 2. Population; 3. National Accounts; 4. Employment and Wages; 5. Prices; 6. People’s Living Conditions; 7. Government Finance; 8. Resources and Environment; 9. Energy; 10. Investment in Fixed Assets; 11. Foreign Trade and Economic Cooperation; 12. Agriculture; 13. Industry; 14. Construction; 15. Wholesale and Retail Trades; 16. Transport, Postal and Telecommunication Services, and Software Industry; 17. Hotels, Catering Services and Tourism; 18. Financial Intermediation; 19. Real Estate; 20. Science and Technology; 21. Education; 22. Public Health and Social Services; 23. Culture and Sports; 24. Public Management, Social Security and Social Organizations; 25. Urban, Rural and Regional Development; 26. Main Social and Economic Indicators of Hong Kong Special Administrative Region (SAR); 27. Main Social and Economic Indicators of Macao Special Administrative Region (SAR). Two chapters listed as Appendices are Main Social and Economic Indicators of Taiwan Province and Main Social and Economic Indicators of Other Countries/Regions. III. The national data in this book do not include those of the Hong Kong Special Administrative Region, the Macao Special Administrative Region and Taiwan Province, except for the divisions of administrative areas, the area of the national territory and forest resources and otherwise specified. In accordance with the principles set down in the Basic Law of Hong Kong Special Administrative Region, and the Basic Law of Macao Special Administrative Region, statistically Hong Kong, Macao and the mainland of China are three mutually independent regions, each following its own and different statistical systems and legal provisions in conducting statistical operations independently. Statistics on the Hong Kong Special Administrative Region and the Macao Special Administrative Region as included in this yearbook are provided by the Census and Statistics Department of the Government of Hong Kong Special Administrative Region and the Statistics and Census Service of the Government of Macao Special Administrative Region respectively; and are edited by the National Bureau of Statistics. Northeastern 3 provinces include: Liaoning, Jilin and Heilongjiang. The units of measurement used in the Yearbook are internationally standard measurement units, and newly published and implemented Product Categories are uniformly used. Please refer to the newly published version of the Yearbook for updated historical data. Statistical discrepancies on totals and relative figures due to rounding are not adjusted in the Yearbook. VII. Notations used in the Yearbook：(blank space) indicates that the data are unknown, or are not available; “#” indicates a major breakdown of the total; and “*”or “①”indicates footnotes at the end of the table. About the notations in the chapters of Hong Kong SAR and Macao SAR, please refer to the brief introduction in relevant chapters. VIII. 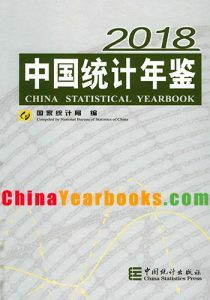 In comparison with China Statistical Yearbook 2016, following revisions have been made in this new version in terms of the statistical contents and in editing: Of the chapter “Population”, table named Age-specific Fertility Rate of Childbearing Women by Age of Mother and Birth Order is deleted. Of the chapter “National Accounts”, indicators of exports of goods and services, imports of goods and services are added. Of the chapter “Prices”, according to changes of classification of retail price indices and consumer price indices in statistical survey and report systems, corresponding adjusts are made. Of the chapter “Foreign trade and Economic Cooperation”, indicators of export and import of goods in RMB are added. Of the chapters “Education”, “Public Health and Social Services” and “Culture and Sports”, some detailed indicators and tables are deleted. I. 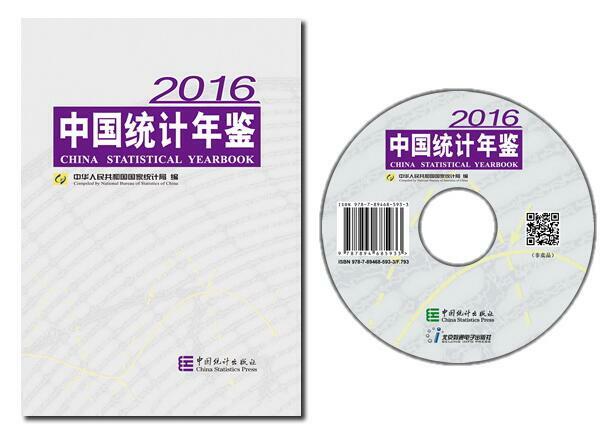 China Statistical Yearbook 2013 is an annual statistical publication, which reflects comprehensively the economic and social development of China. It covers data for 2012 and key statistical data in recent years and some historically important years at the national level and the local levels of province, autonomous region and municipality directly under the Central Government. II. The Yearbook contains twenty-five chapters : l. General Survey; 2. National Accounts; 3. Population; 4. Employment and Wages; 5. Investment in Fixed Assets; 6. Foreign Trade and Economic Cooperation; 7. Resources and Environment; 8. Energy; 9. Government Finance; 10. Price Indices; 11. People’s Living Conditions; 12. General Survey of Cities; 13. Agriculture; 14. Industry; 15. Construction; 16. Transport, Postal and Telecommunication Services; 17. Wholesale and Retail Trades; 18. Hotels, Catering Services and Tourism; 19. Financial Intermediation; 20. Education, Science and Technology; 21. Public Health and Social Services; 22. Culture and Sports; 23. Public Management, Social Security and Others; 24. Main Social and Economic Indicators of Hong Kong Special Administrative Region (SAR); 25. Main Social and Economic Indicators of Macao Special Administrative Region (SAR). Two chapters listed as Appendices are Main Social and Economic Indicators of Taiwan Province and A Comparison of Indicators of Economy and Society among the People’s Republic of China and Other Countries/Regions. To facilitate readers, the Brief Introduction at the beginning of each chapter provides a summary of the main contents of the chapter, data sources, statistical scope, statistical methods and historical changes. At the end of each chapter, Explanatory Notes on Main Statistical Indicators are included. III. The national data in this book do not include those of the Hong Kong Special Administrative Region, the Macao Special Administrative Region and Taiwan Province, except for the divisions of administrative areas, the area of the national territory and forest resources. In accordance with the principles set down in the Basic Law of Hong Kong Special Administrative Region, and the Basic Law of Macao Special Administrative Region, statistically Hong Kong, Macao and the mainland of China are three mutually independent regions, each following its own and different statistical systems and legal provisions in conducting statistical operations independently. Statistics on the Hong Kong Special Administrative Region and the Macao Special Administrative Region as included in this yearbook are provided by the Census and Statistics Department of the Government of Hong Kong Special Administrative Region and the Statistics and Census Services of the Government of Macao Special Administrative Region respectively; and are edited by the National Bureau of Statistics. V. The units of measurement used in the Yearbook are internationally standard measurement units, and newly published and implemented Product Categories are uniformly used. VI. Please refer to the newly published version for more precise historical data. Statistical discrepancies on totals and relative figures due to rounding are not adjusted in the Yearbook. VII. Notations used in the Yearbook：(blank space) indicates that the figure is not large enough to be measured with the smallest unit in the table, or data are unknown, or are not available; “#” indicates a major breakdown of the total; and “*”or “①”indicates footnotes at the end of the table. About the notations in the chapters of Hong Kong SAR and Macao SAR, please refer to the brief introduction in relevant chapters. VIII. 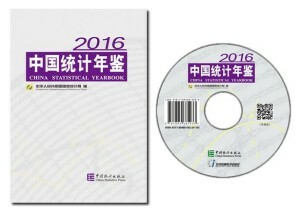 In comparison with China Statistical Yearbook 2012, following revisions have been made in this new version in terms of the statistical contents and in editing: The original chapter of “Resources and Environment” moves to Chapter 7; Some obsolete or duplicate indicators have been deleted, and some tables have been integrated; According to departmental reporting system, some professional contents have been adjusted; Classification for national standard of industry classification is implementing new version of 2011 except legal entities, national accounts, energy, prices and others notified.